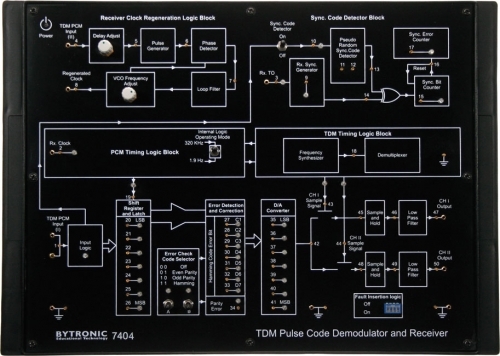 The 7404 is one of a range of digital communication trainers and provides all necessary inputs and connections for students to study decoding and demultiplexing of data transmitted by model 7403, the pulse code modulation transmitter. On-Board PLL provides regeneration of clock. Synchronization between transmitter and receiver is provided by pseudo random code.